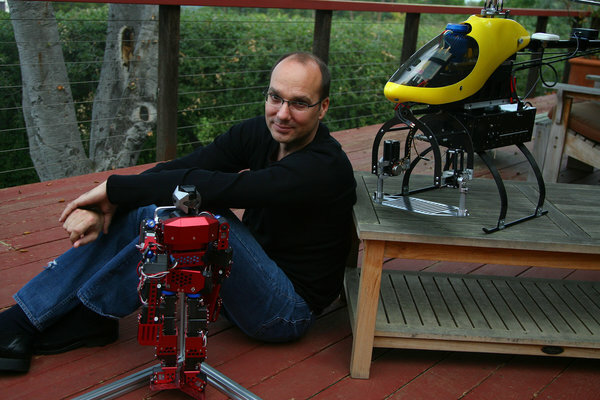 Andy Rubin Poses With Same Drone 2007 & 2013. WHAT DOES IT ALL MEAN? The left is Android/Google’s Andy Rubin 2007. The right is Rubin 2013. Nice setup. Should we speculate that Rubin is highlighting he’s been building drones for six years now (same NYTimes author and photographer too)? Also, guy ages well eh?